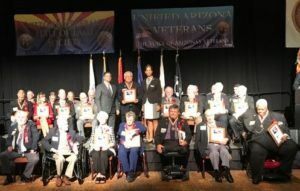 10/26/18 Sisto Sandoval gets installed in the Arizona Veterans Hall of Fame! Congratulations, Sisto!!!!! 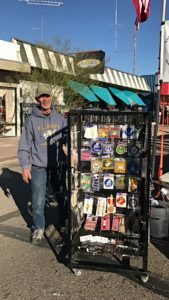 9/16/18 Roger from Pocatelo, Idaho won the BBQ grill. Rogers said he’s never won anything in his life. That has changed!!! All Board of Directors meetings will be held on the same date as the meetings held in Lake Havasu City with a 5 p.m. start time (denoted by * in the date box). In accordance with our Constitution and Bylaws, elections are held in even numbered years, with the exception of vacant offices. There will be an election in 2018 at the March 22nd meeting to fill all positions. April and November meetings have been moved up one week due to the River Run and Thanksgiving. The June and August meetings are “dark” and no meetings will be held in those months. 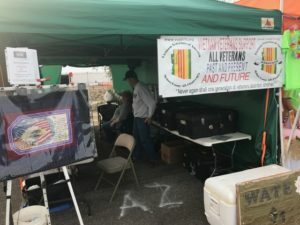 The July meeting is a Summer Picnic Pot Luck and will be held on a Saturday. The December meeting is on a Saturday and is a Christmas Pot Luck. 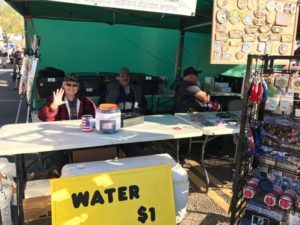 Balloonfest LHC- volunteers needed. Call Pat at 928-716-3001. Meeting 6 p.m. Kingman KRMC Hualapai Campus, 3801 Santa Rosa Dr.
Winterfest LHC- volunteers needed. Call Pat at 928-716-3001. Meeting 6 p.m. LHC Knights of Columbus, 186 London Bridge Rd. 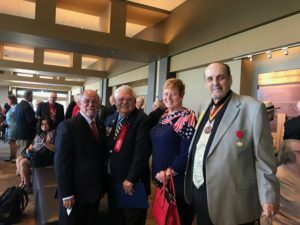 Annual Meeting Election of Officers BHC Sunridge 839 Landon Dr.
6 p.m. Kingman KRMC Hualapai Campus, 3801 Santa Rosa Dr.
River Run Laughlin – volunteers needed. Call Pat at 928-716-3001. Fun Run Kingman – volunteers needed. Call Pat at 928-716-3001. Mohave County Fair Kingman – volunteers needed Call Pat at 928-716-3001. 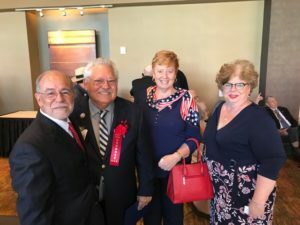 Meeting BHC Sunridge 839 Landon Dr.
Meeting 6 p.m. Lake Havasu City at the LHC Knights of Columbus, 186 London Bridge Rod. Parades BHC and Kingman dates pending. LHC will be November 11. Meeting 6 p.m. in Kingman at Kingman KRMC Campus, 3801 Santa Rosa Dr.
Christmas Potluck Meeting BHC Sunridge, 839 Landon Dr.
“Welcome home” to all of our military veterans.